When it comes to maximizing play value you simply cannot beat the APS 4ADA-53. 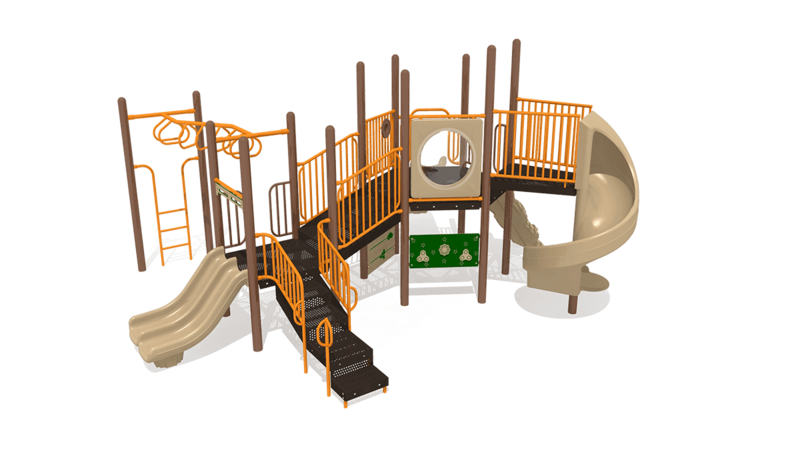 The open design of this system allows for imaginations to soar to new heights as children are able create their own paths of adventure on this captivating system. 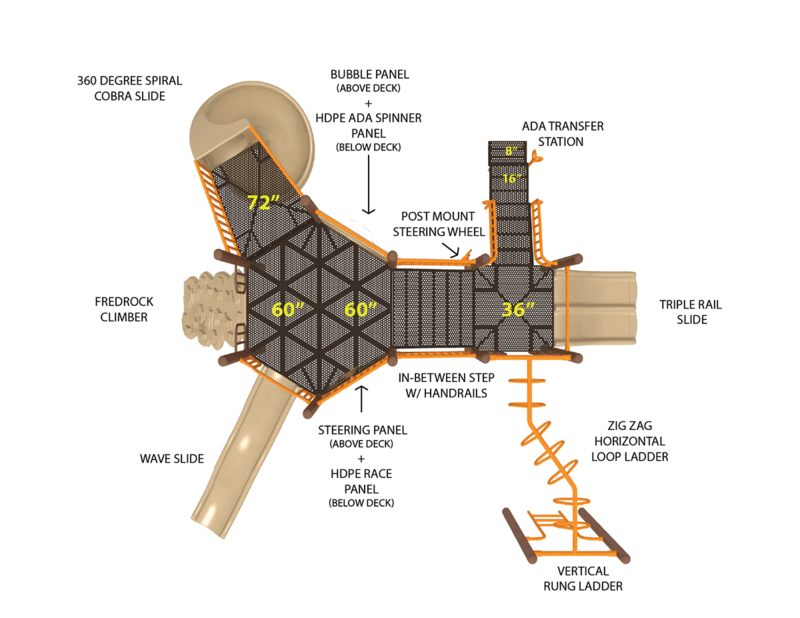 Three electrifying slides, including a kid favorite 360 degree Cobra Slide, help make this structure larger than life. 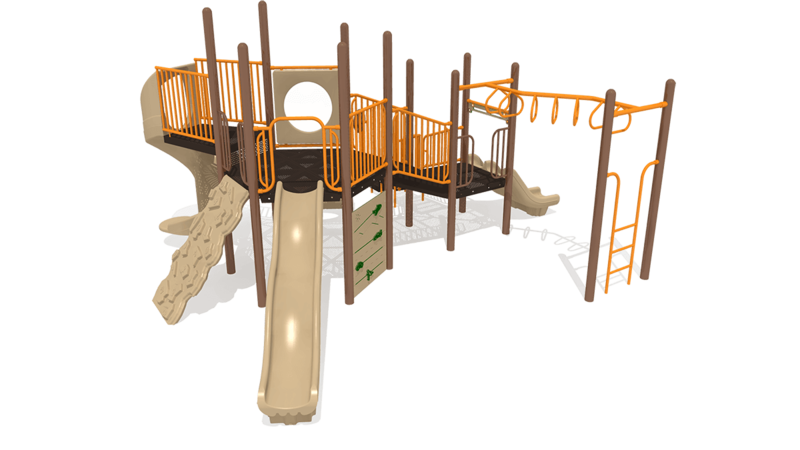 Children of all ages will enjoy building upper strength as they monkey back and forth across the Horizontal Loop Ladder. A Steering panel and below deck Racing Panel add tremendous play value and serve as a great way to relax after hours of exhilarating fun.